Welcome to the Park Vista Hotel! Park Vista Hotel is located within close walking distance of Mayakovsky Central Park of Culture and Rest and Meteogorka observation point. It’s a 20 minute drive from Koltsovo International Airport to the hotel. 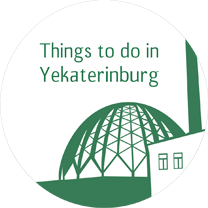 There is a tram stop located near the hotel, providing easy access to the center of Yekaterinburg. Vista Restaurant is open 24/7 and serves full breakfast to our guests. Room service is available. We also provide HB (Half board). Every room has air-conditioning, a fridge,a Flat-screen TV,a telephone and atea set. The bathroom has bathroom necessities and a hair dryer. Wireless Internet is free of charge and available throughout the hotel.